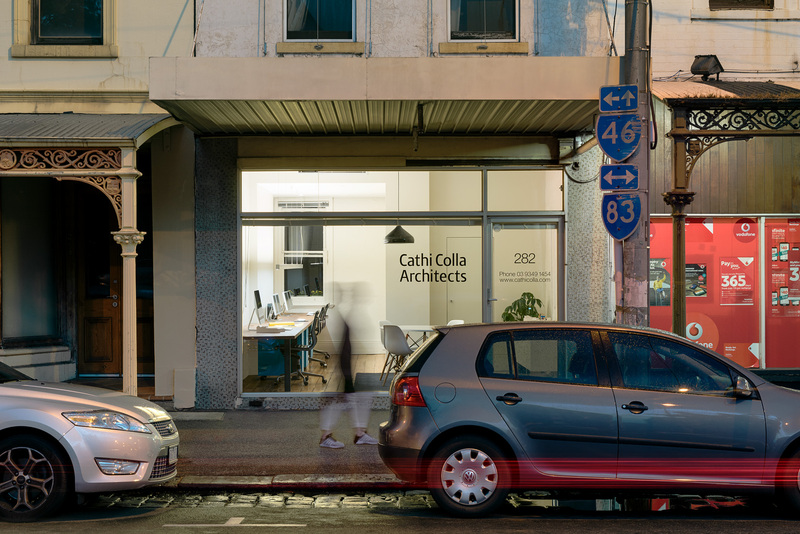 Cathi Colla Architects began in 2000 from an old shopfront in Carlton North. Cathi Colla Architects is now a well-established local practice, specialising in contemporary residential architecture – with a focus on sustainability, context and community. Our practice draws together over thirty years of architectural practice, teaching and art experimentation, and exhibitions. We understand that every client is different, every project is different and every site is different. The common thread across all of our projects is that each one is treated with the same passion and energy as the last. Whatever your requirements are, we strive to resolve the design challenges whilst delighting the senses, feeding the soul, and supporting you throughout the journey. Cathi Colla Architects – Making design work for you. Creating environmentally sustainable architecture shouldn’t just be the latest trend. We believe each project should be considered with the environment front of mind. We optimise solar energy and thermal mass, and minimise energy, material use and your carbon footprint. What this means for you is feel good design, with lower energy costs, improved liveability of spaces and a smaller environmental impact in the energy-intensive construction process. We love our local community, and we strive to positively contribute to it in every way we can. Our designs not only consider the needs of the project and the site, but the needs of the neighbourhood and the wider community. We design for you, with your future in mind. Your journey to design should be a worthwhile investment – for you and your family. We provide the guidance and support to instill confidence in your economic decisions. Your budget is important to us. We design with your aspirations and financial objectives in mind, using your budget to best optimise space, commodity and delight. We also aim to support local economies through partnering with consultants in the neighbourhood and many visits to our favourite Rathdowne St cafes and next-door Italian pasticceria!